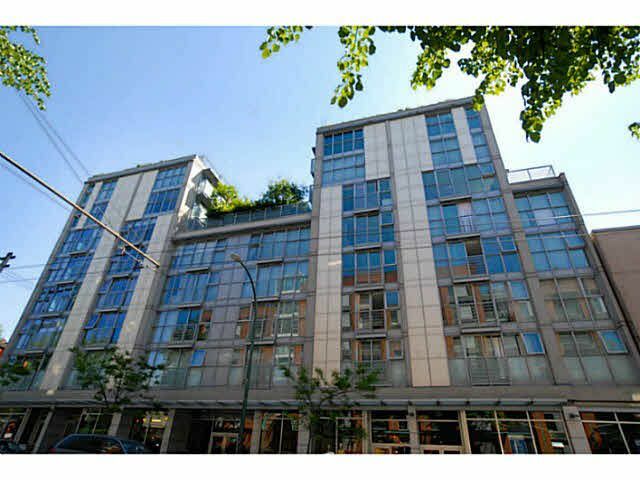 UNBELIEVABLE VALUE for 755sf 1 bed + flex in Gastown - just minutes away from the Downtown core. This huge open concept layout from renown developer, Concord Pacific, features an upgrade kitchen package, durable bamboo-pattern laminate floo ring, 1 parking stall and 1 oversize locker at only $519/sf. Compare with Downtown prices at $800/sf! This home is in excellent condition and rents for $1600/mo, perfect for investors or first-time home buyers. Neighbours are on just 1 side as this is an inside corner unit with quiet courtyard views facing east. It is also close to a myriad of quaint cafes and shops in historic Gastown with transit nearby and CRAB Park, a hidden gem, 3 blocks away. This is definitely a SMART choice!